What does Banking as a Business look like in the future? Technology is streamlining banking process and changing relationships so much that traditional infrastructures and ways of making money are increasingly challenged across retail, corporate/commercial and institutional banking. -What effect is new regulation having on the traditional financial services and new players? - Can big banks become API businesses and remain profitable? -What do ‘sharing economies’ look like for financial services? 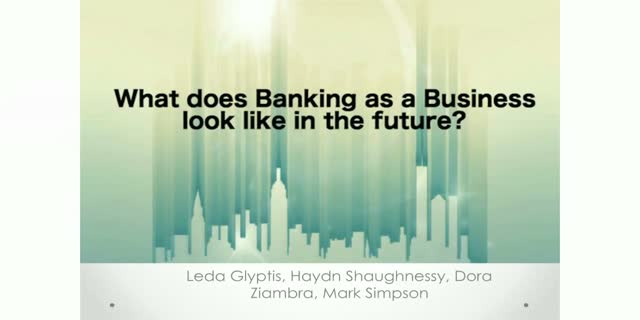 Title: What does Banking as a Business look like in the future?